Medical Device Connectivity is a maintenance and installation of connection which is used to transfer necessary data between the information systems and medical devices. It is used for enhancing clinical outcomes by reducing the nursing time and improving the accuracy. These devices carry a vital information such as maintenance schedule, patient history and real-time patient tracking information for providing the best care to patients. Various institutes and healthcare providers are more focused on the medical device connectivity market. Global Medical Device Connectivity Market is expected to increase by a $ 1.34 billion by 2024 at a CAGR of 26 % from $ 0.4137 in 2017. Rising demand for home health care due to emergence of technologies such as mobile-health, better monitoring and patient information system, reduction in the number of nursing hours due to the application of intelligent medical devices, increasing aging population suffering from chronic diseases, optimal care provided to the patient due to increasing operational efficiency of the healthcare staff are the key factors driving the growth of medical device connectivity market. Global Medical Device Connectivity market is segmented into a product which includes medical device connectivity service and medical device connectivity solution. Among this medical device, service holds the largest share due to the many devices healthcare sector. Based on the component it is further divided into wired hardware and wireless hardware and Others. Wired hardware is having a high percentage of usage in the medical sector. 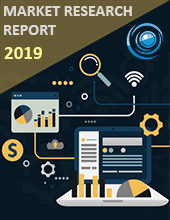 By the end-user Global medical device connectivity market is divided into home healthcare, hospital/clinic, and others. Based on geography, North America holds the largest share, factors attributed to market growth in this region are increasing demand for the health services and solutions in reputed hospitals and health systems, accessibility to the technology in this region is high, the changing favourable regulations, increase in the funding and the investments made by the innovation of medical sector and the increasing aged population. The European region is the second dominant region due to increasing geriatric population. Developing regions in the Asia Pacific are taking more initiatives to include IT in the health sectors driving the market growth.